Welcome to Thai Style Language! 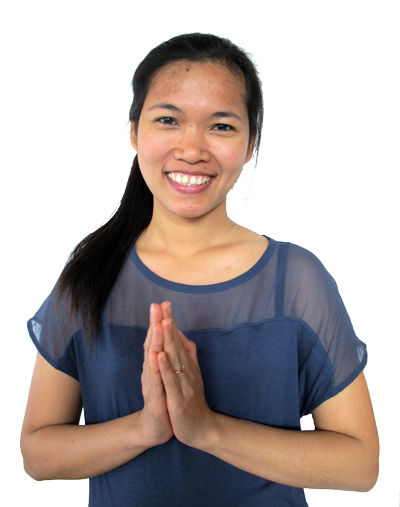 Introduction : Sa-Wud-Dee Ka, I’m Kruu Jiab, the head teacher at Thai Style Language. We specialise in teaching Thai and support a huge team of local teachers and modern learning materials. If you are serious about learning Thai, you have come to the right place. We have a real passion for teaching and provide an extremely flexible and effective method to support you throughout your learning experience. We’re always here to help you, so if after reading through our website you have any further questions please contact us anytime. 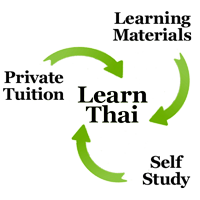 Let’s keep this simple; If you learn Thai language with native Thai speakers, you’ll learn quickly and accurately. We Support Local Thai Teachers : We provide a base for local Thai teachers to advertise their services. We support some amazing Thai teachers in hundreds of locations across Thailand, the UK, USA, Singapore & Australia. You Support Local Thai Teachers : After registration, you pay and support local teachers directly. We do not take any commission out of your tuition fees so teachers earn 100% of the fees you pay them making it cheaper for you to learn and more profitable for teachers. Win Win! Structured Learning Materials : A well thought out method is just as important as a good teacher. We have developed our materials from scratch and they are comprehensive, systematic and very easy to follow. Worksheets, Audio, Video, Quizzes, Smart Flash Cards and lots of self study materials are one part of the complete package we provide to support you learning Thai language. Flexible Lessons: Our system is extremely flexible because you get access to a huge number of trained teachers. You can change teacher/location anytime, find a teacher to suit your learning schedule, start/stop/start as you please and you only pay for the time you attend classes. Lifetime Support : Because every learner is different we are here to support you for as long as it takes you to learn our courses. There is no set duration. The one-off registration provides lifetime access to all new materials, updates, teachers and support services. Learn at a pace to suit you and get the support you need when you need it. Read more about our learning options, teacher locations and register online to start learning today. What do you want to learn? How much does it cost? Hundreds of Thai teachers trained to help you learn Thai effectively. Set your location below to view local teachers in your area. There is no ‘one size fits all’ method to learn any language. Everyone is an individual so at Thai Style our courses last for as long as it takes you to learn. You are able to focus on what you need to achieve your goals and we are here to support you for as long as you need to learn. Our team of teachers are experienced, well traveled, educated and dedicated to teaching Thai. We come from many different backgrounds and you can find a teacher who has interests that match your own. We look forward to being a part of your journey to learn Thai. Chock Dee Ka!